Longny-les-Villages is a commune in the department of Orne, northwestern France. 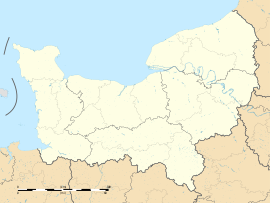 The municipality was established on 1 January 2016 by merger of the former communes of La Lande-sur-Eure, Longny-au-Perche (the seat), Malétable, Marchainville, Monceaux-au-Perche, Moulicent, Neuilly-sur-Eure and Saint-Victor-de-Réno. Wikimedia Commons has media related to Longny les Villages. This Orne geographical article is a stub. You can help Wikipedia by expanding it. This page was last edited on 20 January 2019, at 19:23 (UTC).